When performing research projects that involve technical risk or uncertainty, Canadian innovators should use government funding programs. These offset project costs and reduce risk, making exploratory innovations more achievable for SMEs. However, incentives can vary widely and offer different types of support. It's essential for business leaders to carefully consider both research grants and tax credits. 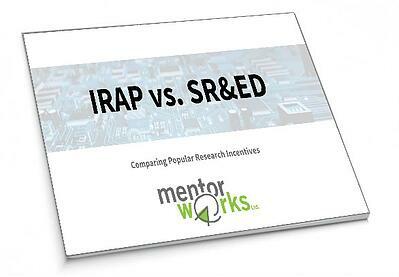 In the IRAP vs. SR&ED slide deck, you will gain access to a detailed analysis of Canada's two most popular funding programs for supporting innovative research projects. These are the Industrial Research Assistance Program (IRAP) grant and the Scientific Research and Experimental Development (SR&ED) tax credit. To expedite the process of discovering, assessing, and choosing the right government funding program for your business' research projects, please fill out the form contained on this page. You will be taken to another page where you can access the download.